Ben Alagnam: Prata in Singapore Addict! My addiction started when the taste of one Indian food here in Singapore hit me. At first, it doesn't taste that great and the aroma is awful at the first taste. It feels hot inside my mouth and my breath smells too spicy. Once I've learned to pair it with a coffee, it then started to play at the tips of my taste buds. I then started to crave for it almost everyday. When an Indian food store is in reach, I long to buy and get a bite of it. 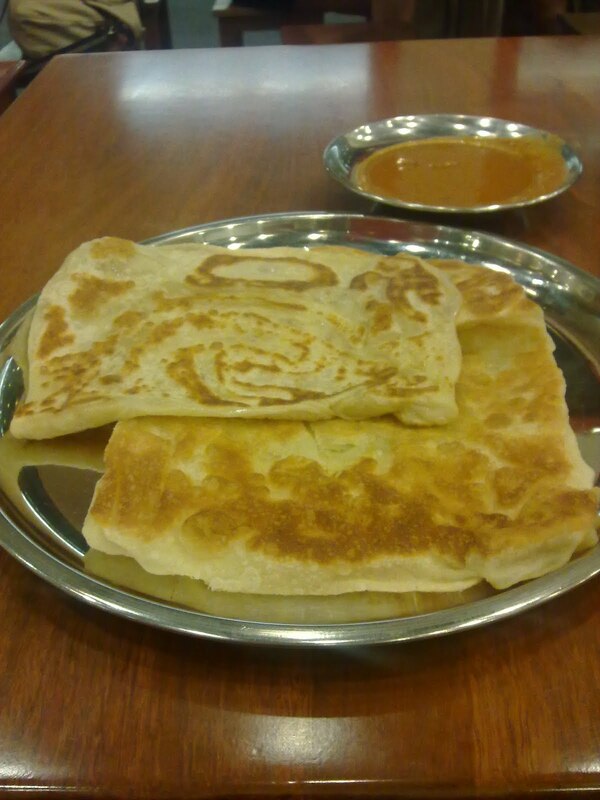 Indian food called "Prata". At the Middle East, they call it "Parata". Whatever they call it, it tastes just the same. It's an Indian bread, which they flip it against the table until its thin and fold each sides to form a square. Sometimes, they put egg, onions and cheese before folding. But, I like it when it's plain, no fillings at all. They serve it with a very spicy sauce, and the smell is uniquely Indian. How much is the serving of Prata? I usually eat the plain one and the price depends on the location of the store. At the Hawkers station near the workers lodging houses, the price is SGD0.80 per piece. When I bought one at the Prata Wala at the Jurong Point, just below the Boonlay MRT Station, the price is SGD2.00 each. 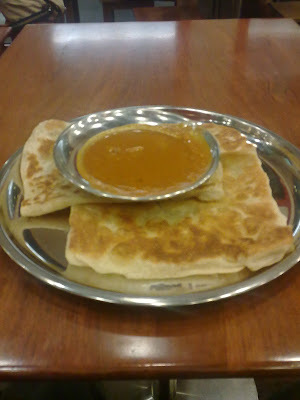 How to eat the Prata in Singapore! I saw Indians eat it by their bare hands and tearing it into bite sizes and dunk it in the spicy sauce. For me, a typical Filipino, I use spoon and fork to tear it and dip it in the sauce. Yummy! Two pieces of it are enough for me. Some don't like the taste, but for me, this I swear will be my favorite Indian food EVER! My week is not complete without a PRATA in Singapore!!! Share your cravings, leave a comment below...Thanks! Prata is best serve with condense milk. mdc9377, that would be a good idea but I haven't seen that type. I'll buy one plain and just put the condense milk on top. Thanks!